Lenovo PA13000 13000mAh Powerbank.The best selling budget powerbank available in market for May 2017.Read out all the specifications & check out best offer. 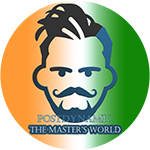 Welcome to Postdynamic - The Master's World. You are reading this article on (Lenovo PA13000) Best Budget Powerbank May 2017. As we all know in today's world or we can say in the era of Smartphones. The main problem we face is charging our phones specially when we are travelling. And we all know very well that what is the solution of this problem. Yes, it is Powerbank. But when talk about powerbanks, there are many companies who are providing us powerbanks. With different kind of specifications and prices. And now the question is which one is the best one? So here is the answer for you, Lenovo PA13000 is the best budget powerbank available in May 2017. Why this one is the best among the all powerbanks? What are the specifications it contains? Is it really fits in our budget if yes then how much this will cost us? First good thing is Portability. As it is very easy to carry with you while travelling. Supports every kind of smartphone for charging. It has high grade Plastic exterior which makes it solid enough to use it almost everywhere. It will give you 2 USB output ports means you can charge two smartphones at same time. Contains power light display, soft display and clear display. Work with intelligent power control chip and provide high conversion rate to charge smartphone. Its battery power stores for long dormant technology. Input Connector type - micro USB 5V/2A. Output Connector type - USB 2.0 A 5V/2.1A and 5V/1A. 13000 mAh power backup to use. Manufacturer warranty of 1 year. So these are the specifications of Lenovo PA13000. On the customers base review it scores pretty high. It scores 3.7 out of 5 which is very good score. And according to us it is a very good powerbank for users who are finding a budget powerbank. Now as we are using the word budget let me tell you the price of this product. Price of Lenovo PA13000 is Rs 2,999/- and which is low according to its features. And let me tell you online shopping site Amazon is offering it on 68% discount. Means you can buy it only in Rs 949/-. Click on the link below to purchase it on Amazon for 949. 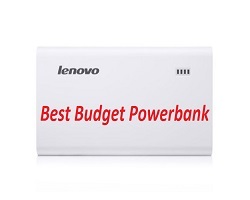 So that is all with this article about "(Lenovo PA13000) Best Budget Powerbank May 2017". Hope you find it useful if any doubt about this article you can ask us in comments. And you can also contact us by visiting our Contact us tab. So give us your feedback about our articles and stay in touch with Postdynamic - The Master's World. For many more interesting articles and information on lifestyle and smartphones. And do not forget to share our articles with your friends and on social platforms.